The Lifting Bracket with Eye Nut has a load bearing capacity of 1,800 kg and is used for transport of tables and other heavy components safely and easily. It is fastened quickly using 4 clamping bolts (S2-280510). 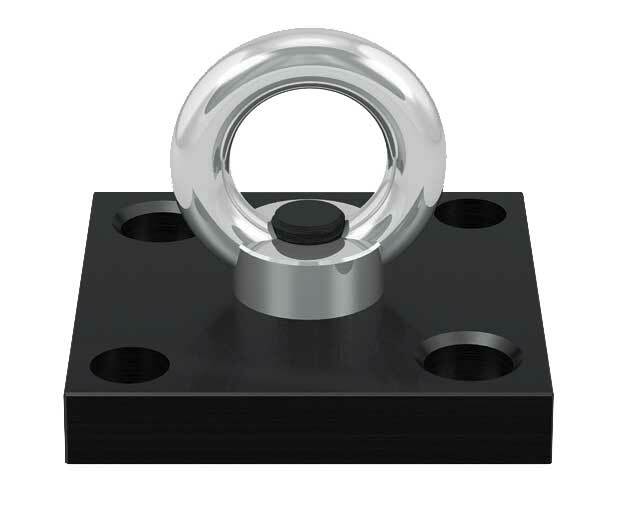 Lateral forces should be avoided on the lifting bracket eye nut as this will decrease its load capacity. The Lifting Bracket with Safety Hoist Ring has a load bearing capacity of 2,200 kg and is used for transport of tables and other heavy components safely and easily. It is fastened quickly using 4 clamping bolts (S2-280510). The safety hoist ring maintains a consistent load bearing capacity even with lateral force components as long as its swivel and pivot motions are not impeded by other objects. With all lifting brackets users must observe general rules and regulations for material handling safety. 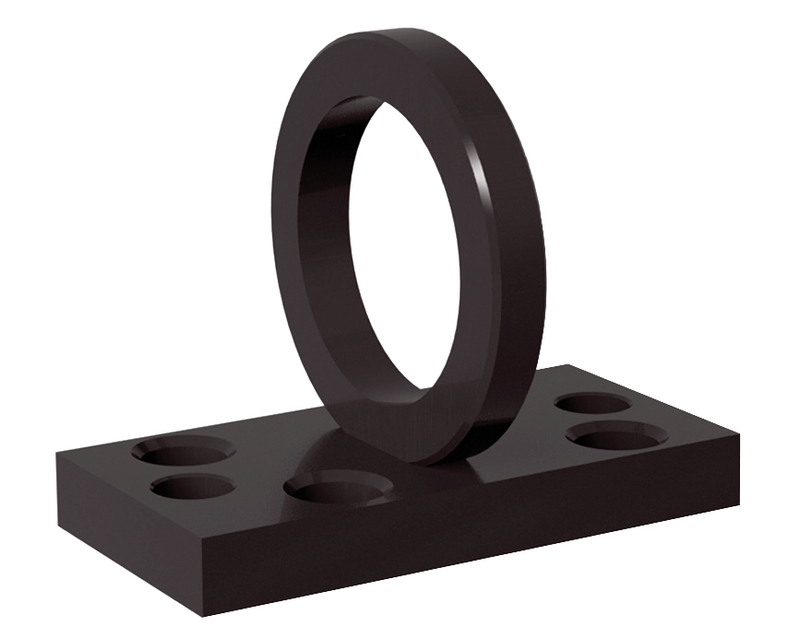 Users must ensure Eye Nut or Hoist Rings are fully threaded and sit flat on the bearing surface. Users must ensure clamping bolts are fully seated onto the lifting bracket so that bolts can achieve full clamping capacity. Objects should not be lifted further than 100 mm off the ground and personnel are not allowed under objects being lifted or moved.